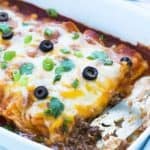 If you’re a Mexican food lover like me, you are going to absolutely LOVE these sinfully irresistible Easy Beef Enchiladas! 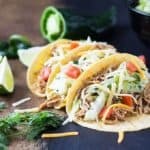 Sometimes I get a serious craving for Mexican food. I mean a SERIOUS one. With Brian being gone during the week, it’s fair game to eat whatever and whenever I want (sometimes that’s not a good thing!). 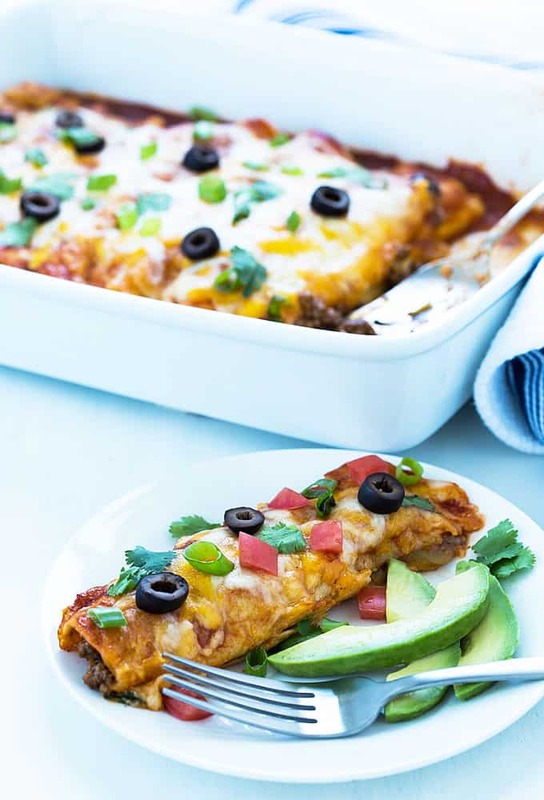 I was totally craving Mexican recently and remembered that I haven’t made these beef enchiladas in f-o-r-e-v-e-r.
Seriously… the most difficult task of this recipe is slicing and dicing your preferred toppings. And the sky’s the limit with toppings! I like sliced green onions, black olives, cilantro, tomato and avocado. Oh and SOUR CREAM! 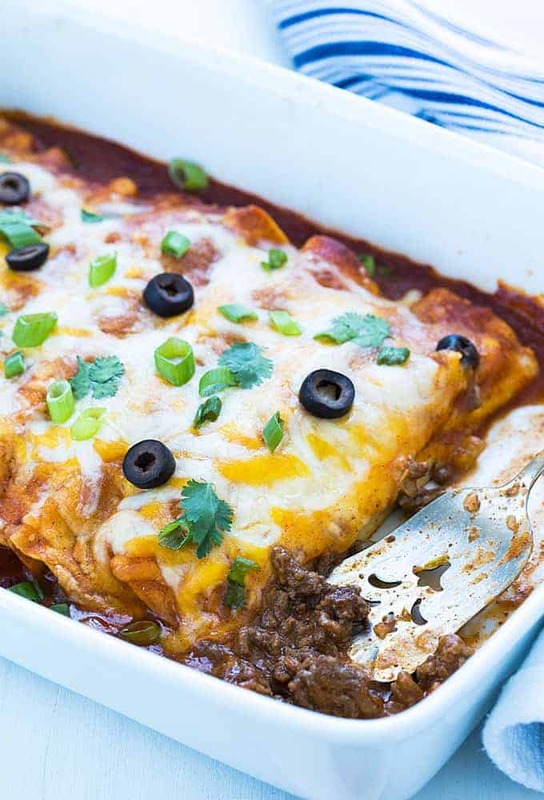 🙂 Because when it comes to cheesy, beefy enchiladas, who’s counting calories?! 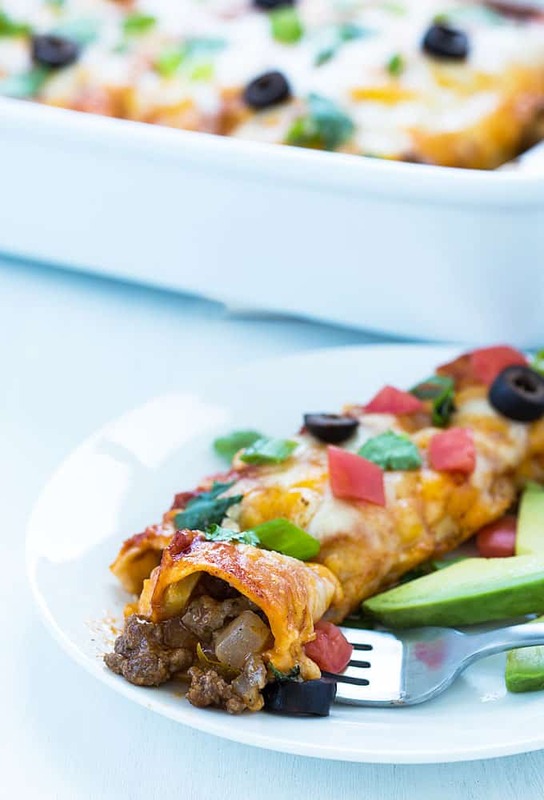 You can’t go wrong with this recipe if you’re an enchilada lover… I used a bagged Mexican cheese blend to save time and I also add the cheese to the beef mixture instead of adding it to each individual tortilla. 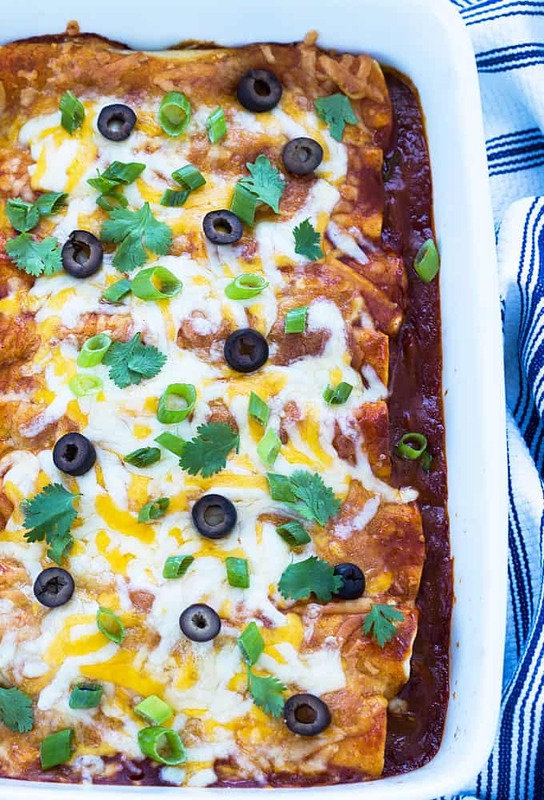 Now I do understand that traditional enchiladas are prepared with corn tortillas instead of flour… I just personally prefer flour tortillas. 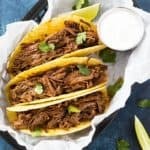 Corn tortillas obviously can be used as well. Enjoy! Preheat your oven to 350 degrees F. Grease or spray a 13 x 9 inch casserole dish with cooking spray. 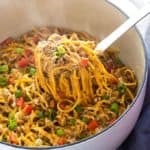 In a large skillet, cook ground beef and onions over medium high heat until beef is no longer pink, crumbling beef as it is cooking. Drain off fat. 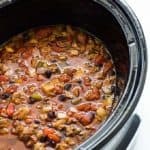 Return skillet with beef and onions to heat and add 1/2 of the enchilada sauce, 1-1/2 cups of the shredded cheese, chopped green chilies, chili powder, garlic powder and cumin. Stir to combine and remove from heat. Evenly distribute beef mixture down the center of each tortilla. Wrap tortillas tightly and place seam side down into baking dish. 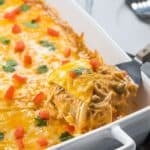 Top with remaining 1/2 of the enchilada sauce and sprinkle with the remaining 1-1/2 cups of shredded cheese. Bake, uncovered, for 20-25 minutes or until cheese is melted and sauce is bubbling around the edges of dish.